You'll feel instantly polished and put-together when you wear this adorable belted A-line dress. 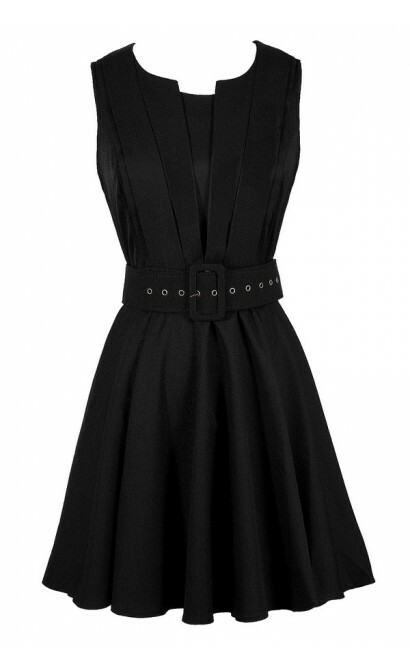 The Belt It Out A-Line Black Dress is made of a fluid fabric and is lined above the waist. It has a unique design at the bodice with pintucked fabric details. The attached skirt has a flowy A-line cut. An included belt wraps around the waist, tying this look together. An exposed back zipper completes this dress. The Belt It Out A-Line Black Dress is perfect to wear to work in a business casual environment. It is also a nice dress to wear to a party or networking event. Pair this dress with black pumps, wedges, or heels and you're good to go! Another option is to wear this dress with black boots or tights in the fall and winter. Try replacing the black belt with a different belt or fabric sash in your closet to create a whole new look. This is a great wardrobe staple to have on hand to wear to nearly any event. Details: Lined above waist. Belt included. Exposed back zipper. 97% polyester, 3% spandex. Hand wash cold water. Do not bleach. Line dry. Iron low. Do not dry clean. Small measurements: Length from top of shoulder to hemline: 34". Bust: 34". 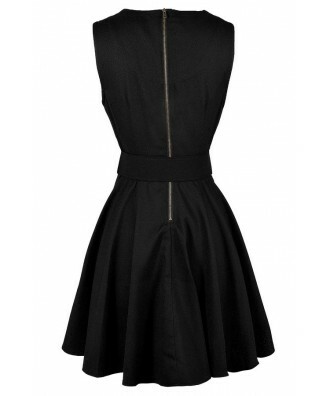 You have added Belt It Out A-Line Black Dress into Wishlist. 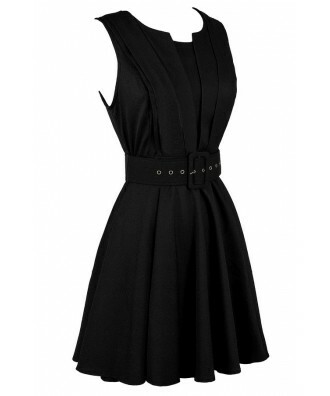 You have added Belt It Out A-Line Black Dress for Stock Notification. You have set Belt It Out A-Line Black Dress as a loved product. You have removed Belt It Out A-Line Black Dress as a loved product.